As the play begins, famous food columnist and cookbook author Gussie Richardson is offered her own daily network television show. She wants to do it, but her husband is dead set against it. Bolstering his position is the fact that she freezes in front of the camera, overwhelmed with stage fright. Everyone on set tries to help her, but just when she thinks she&apos;s cured, the taping turns into a comic nightmare, concluding in an all-out food fight that almost ends the show and her marriage. This delightful play will leave you with a smile on your face and a hearty laugh in your belly. 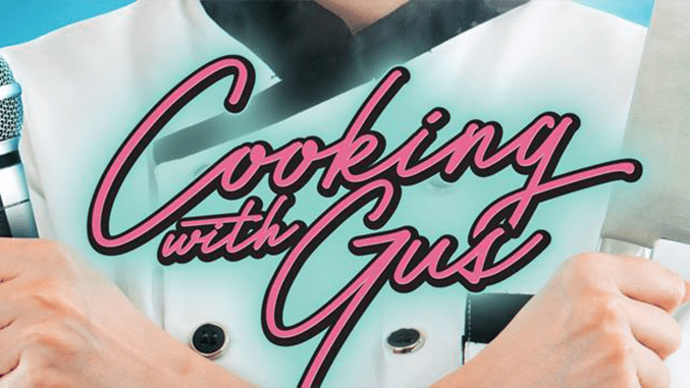 The cast of “Cooking With Gus” includes Shay Lower in the title role of Gus, Russ Hopper as Walter (the reticent husband), Courtney Cothran as Carmen (the kooky next-door neighbor), and Justin Haley as Gussie’s agent, Bernie. Lower will be familiar to Town & Gown audiences from her appearance in the recent show, “Things My Mother Taught Me.” Hopper got his start in theater at Town & Gown in the 1980s and performed around the country for many years, before returning to grace the Town & Gown Stage with recent roles in “The Murder Mystery Comedies of 1940,” “Things My Mother Taught Me,” and “Wait Until Dark.” Cothran and Haley will make their respective debuts on the Town & Gown stage. 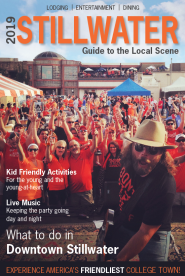 “Cooking With Gus” is recommended for ages 10 and up and will run for eight performances, from April 4th to the 7th and 11th through the 14th. Thursday, Friday, and Saturday performances begin at 7:30 p.m. and Sunday matinees begin at 2:30 p.m. Tickets will go on sale Monday, April 1st (no foolin’) and can be obtained by calling the box office at (405) 372-9122 or visiting the theatre’s Web site at www.townandgown.org. Tickets prices are $14 for adults, $12 for students, and $12 for seniors attending either Sunday matinee.